The Nigerian scored two goals in the opening 20 minutes of this one-sided contest after Steven Whittaker had started the rout with a great left-foot finish. Jamie Ness then a fourth before the hour mark before substitute Alejandro Bedoya bagged his first Rangers goal on what proved to be a great night for the Ibrox faithful to enjoy. Peter Houston’s men still had a slim chance of claiming the second Champions League slot up for grabs this season prior to kick off. But the Tannadice boss was left fuming with his side’s shambolic defending which gave them no chance of claiming even a point. Strangely, it was Allan McGregor that had to make two early saves, the first coming from a 30 yard free-kick from Garry Kenneth which he palmed around the post having dived low to his right. The opening goal then arrived on five minutes and it was a moment of magic from Whittaker who, after being played in by Rhys McCabe, sent a delightful left foot curler beyond Dusan Pernis. McGregor was then in action again, tipping Mackay-Steven’s net bound shot over the bar with an acrobatic stop. From there though it was one-way traffic with Rangers going through the gears and United’s nervous backline unable to cope. 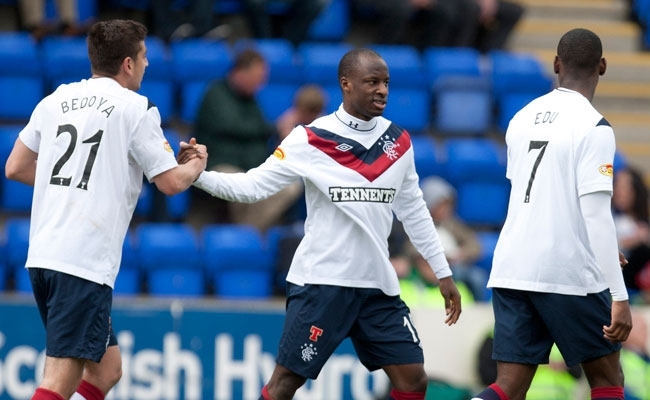 On 16 minutes Aluko found himself one-on-one with Sean Dillon and after an injection of pace he slotted the ball effortlessly into the net from 10 yards. And just three minutes later United had conceded a third and again it was Aluko that caused mayhem. The club’s number 19 jinked his way past Kenneth to get a sight of goal and his accurate right foot finish found the corner of the net. 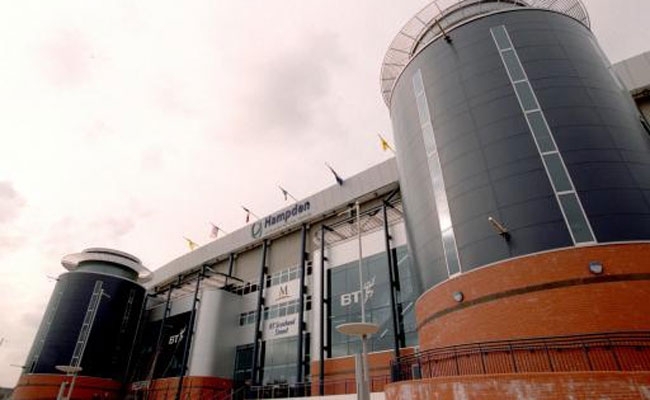 The scoreline stayed at 3-0 as referee Alan Muir blew for half time but it could have been worse for United with Wallace missing a snip and Salim Kerkar just inches away from connecting with a teasing Aluko delivery having found acres of space in the 18-yard box. For the restart Houston made two changes with Barry Douglas and Keith Watson replacing Mackay-Steven and Kenneth. 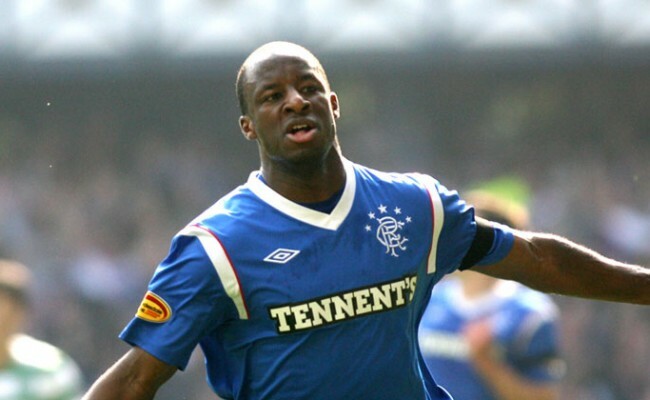 Aluko, however, was clearly in the mood and on 51 minutes he brought out a near post stop from Pernis after another direct run. But before the hour mark Rangers made it four and it was Ness that marked his long-awaited return to the starting eleven with a composed finish after more shambolic defending from United. It was to be the midfielder’s last involvement of the game but he recieved several high fives from his teammates as Kirk Broadfoot took his place from the bench. And with 74 minutes on the clock the Rangers fans were on their feet again to salute Aluko as Alejandro Bedoya was given a rare run-out and it was the American who netted his side’s fifth with a well-taken strike. 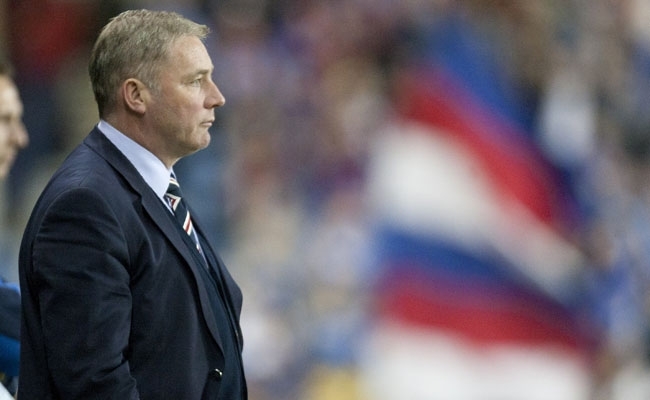 United came to Ibrox trying to make it three wins on the bounce against Rangers for the first time in their history. 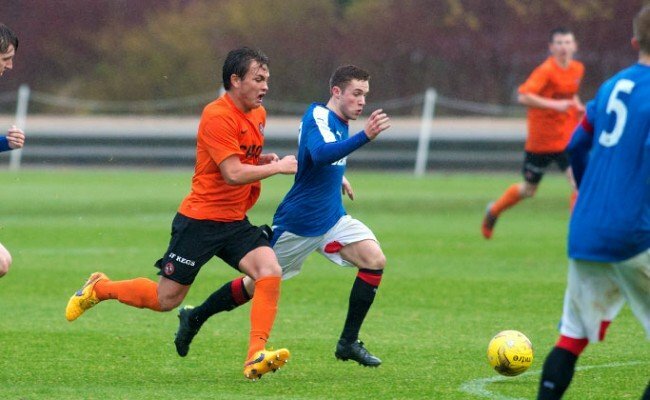 But the start they made to game proved so costly and despite so many key players unavailable to Ally McCoist the Light Blues were still too strong for their Tayside opponents. 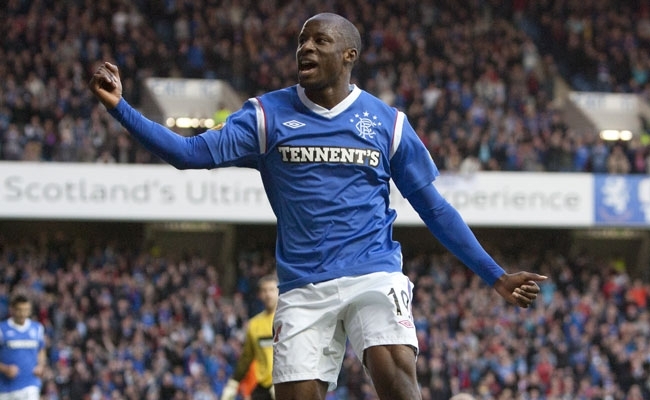 Man of the match: Sone Aluko – Terrorised the United defence from start to finish, just a shame he didn’t get the hat-trick his play deserved.